Turns out Olivia Colman, not Glenn Close, was "The Favorite" at the Oscars. The British actress was a surprise winner as best actress on Sunday night for her role as Queen Anne in "The Favorite." She beat out Close, who arrived at the Dolby Theatre as the heavy favorite to win her first Oscar in seven nominations for "The Wife." Instead, a stunned Colman took the stage. She gazed at Close in the audience and said, "You've been my idol for so long and this is not how I wanted it to be." The 71-year-old American is 0-for-7 at the Oscars. Her nods remain the most without a win than any other living actor. Close came into the end of awards season riding a wave of momentum that included wins at the Golden Globes, SAG Awards and Independent Spirit Awards. Colman added the Oscar to her earlier wins at the Golden Globes, BAFTAs and National Society of Film Critics for the role. "I could not tell you what I'm feeling," she said backstage. "Next year I'll be able to put it into words. I don't know what to do with myself at the moment." An emotional Colman thanked her children, who she said she hoped were watching at home. She said, "This is not going to happen again." A cheeky Colman knows where her Oscar statue will go: "In bed with me between me and my husband. He doesn't know yet." Asked what Queen Anne would say after her win, Colman replied, "Eat some cake." 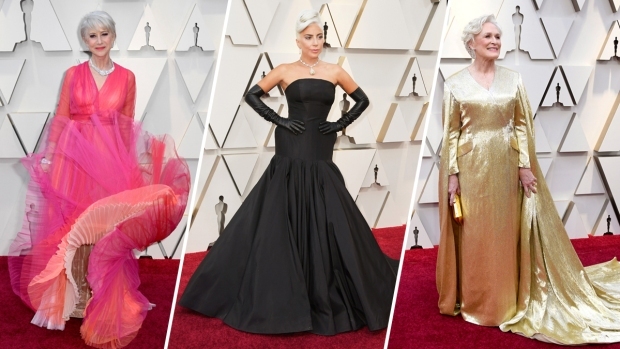 The other nominees for best actress were Yalitza Aparicio for "Roma," Lady Gaga for "A Star is Born" and Melissa McCarthy of "Can You Ever Forgive Me?"